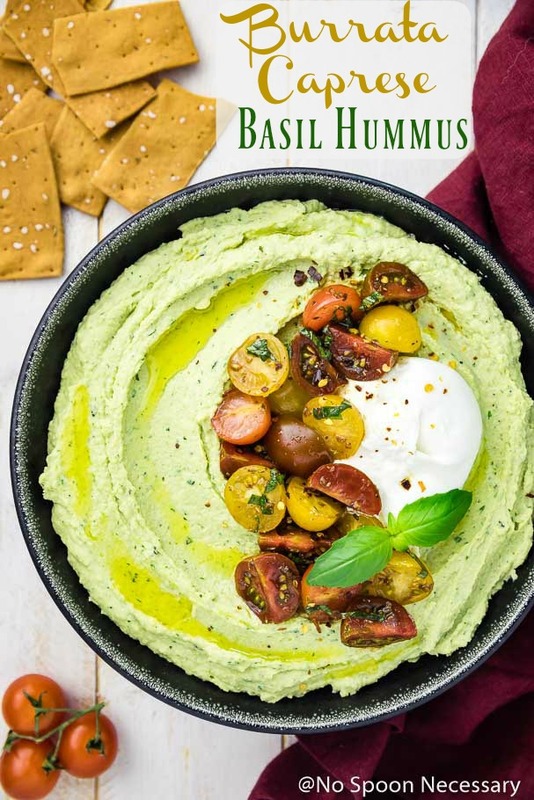 This Burrata Caprese Basil Hummus is the perfect snack or appetizer for summer! 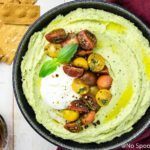 Silky smooth basil and garlic flavored hummus topped with rich burrata and balsamic marinated tomatoes – this flavorful hummus is a delicious dip version of the classic caprese salad. Currently, on this side of the computer screen, it is still Sunday. And, if you popped by on Thursday, you know it was Boy and I’s 10 year (dating) anniversary. Is it needless to say that we are presently trying to stretch the anniversary celebration into a 4 day affair? Anyways, in case we are cut from the same cloth, and you are charmingly nosy like me, we are celebrating by doing absolutely nothing… but, in the very BEST way. Our version of ‘nothing’ involves pajamas, the movie room, piles of pillows, soft snuggly blankets, cuddling with our fur baby and binge watching TV. Oh, AND popcorn, cocktails and one massive smorgasbord of grilled eats. Needless to say, I am SUPER anxious to get back to the R&R that is happening upstairs without me. So, today we are going to keep things short, sweet and to the point. Because the FOMO struggle is real. AKA your favorite caprese salad in creamy, jazzed up DIP form. 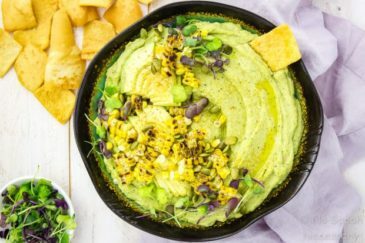 Silky, smooth, savory hummus loaded with fresh, sweet basil, a hint of pungent garlic, a touch of nutty tahini and a dash of tart lemon. 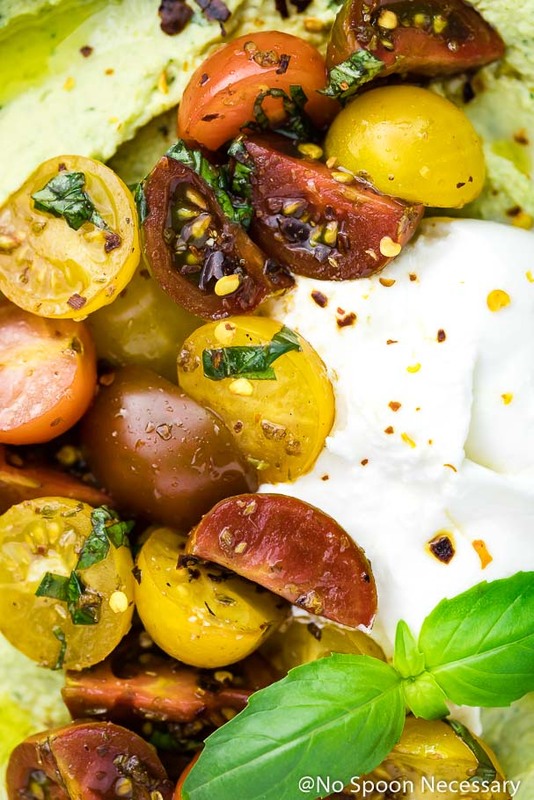 Generously topped with rich, decadent burrata, balsamic marinated cherry tomatoes, and lovingly scattered with spicy red pepper flakes and more fresh basil. 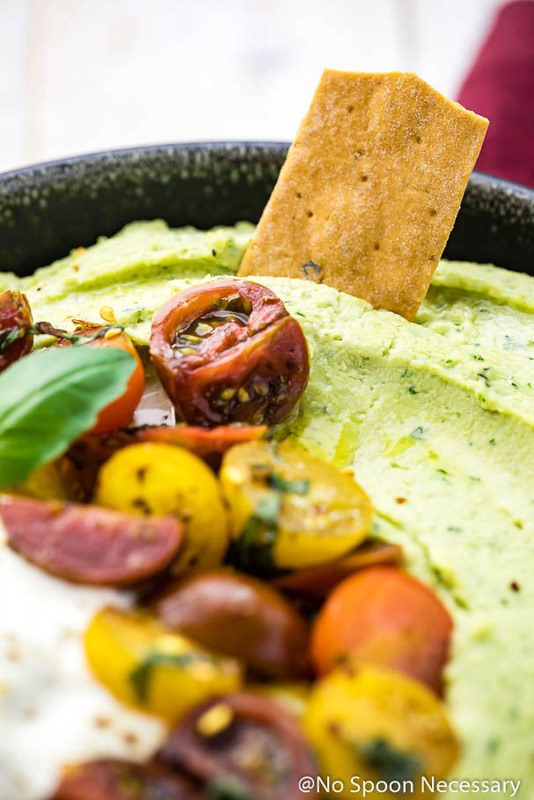 The luscious basil hummus with the impossibly soft burrata makes this dip ridiculously creamy-dreamy. Essentially, what’s going on here is NEXT LEVEL. All I can say (aside from all that ⬆️) is YOU NEED THIS. Preferably before autumn comes and rips all the cute little caprese’d things from your summer loving soul. For ease and convenience the recipe below uses canned chickpeas. However, if you want to save money AND have a fresher, creamier tasting hummus, I highly recommend cooking your own dried chickpeas! 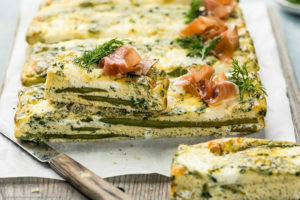 The entire process is SUPER simple and can be done in the slow cooker. I included instructions in the notes section of the recipe below. The consistency of your basil hummus completely relies on personal taste. I used about ½ cup ICE COLD water in mine. 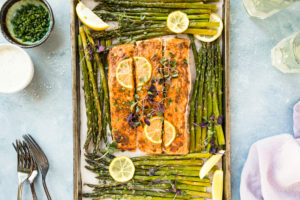 You can use extra virgin olive oil instead of water if you would like. The oil will give the hummus a more pungent, bitter taste. For a thinner consistency, use more water or oil; for a thicker consistency use less water or oil. Just make sure you are streaming in the liquid, one tablespoon at a time, WITH the motor running. Also, if using water, make sure your water is ICE COLD as it gives the hummus a fluffier (less pasty) mouth feel. Make sure you use the BEST looking cherry tomatoes you can find at the market. I used a combination of heirloom, vine-ripe and sungold cherry tomatoes, because our market has a great selection of cherry tomatoes. Whatever variety you chose, just make sure the tomatoes are plump, firm to touch, and have taut skin. 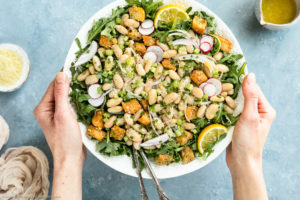 If you aren’t a fan of chickpeas, you can absolutely substitute an equal amount of cooked white beans for the chickpeas. 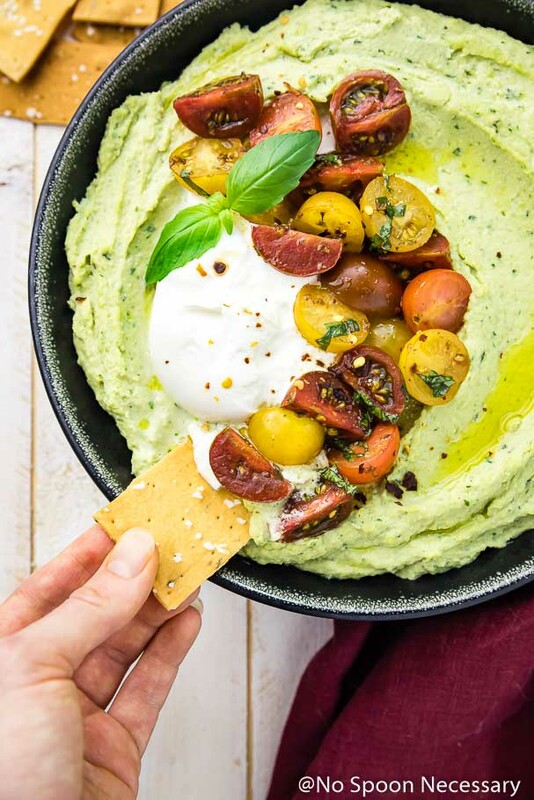 Creamy, dreamy, rocking a big ‘ole hunk of burrata and caprese vibes for days, this Burrata Caprese Basil Hummus is BEGGING to be devoured. 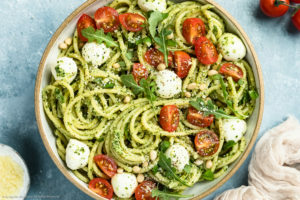 Whether you eat this with pita chips, crusty artisinal bread, raw veggies, smear it on a sandwich or eat it straight with a spoon, just get this in your life while the summer tomato gettin’ is still good!! Until Thursday, friends, cheers – to magnificent mash ups. 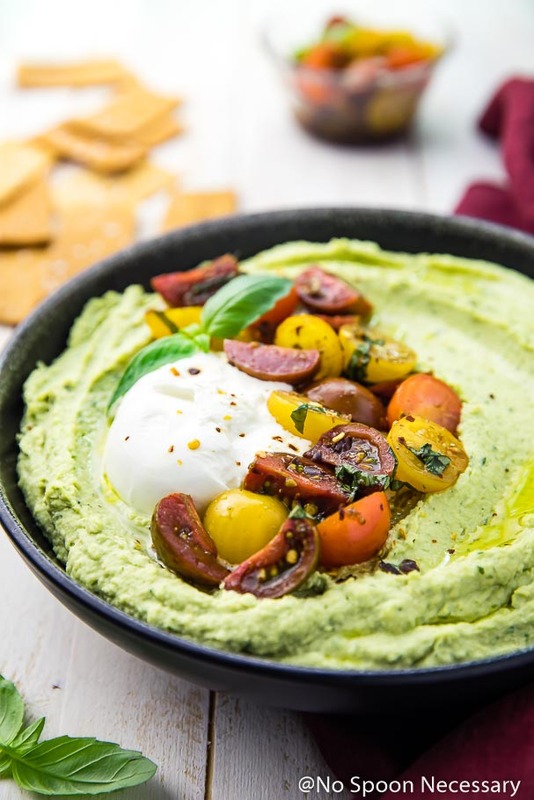 This Burrata Caprese Basil Hummus is the perfect snack or appetizer for summer! 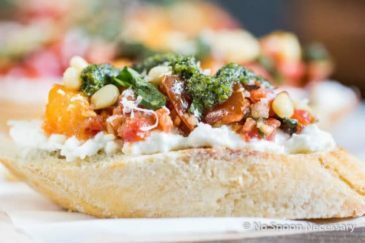 Silky smooth basil and garlic flavored hummus topped with rich burrata and balsamic marinated tomatoes - this flavorful hummus is a delicious dip version of the classic caprese salad. 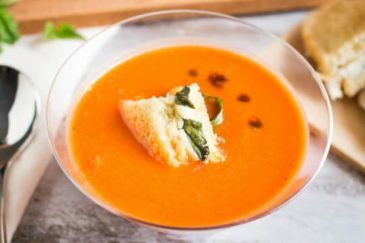 Marinate the tomatoes: In a medium sized bowl, whisk together the oil, balsamic, basil, oregano, garlic, red pepper flakes, ¼ teaspoon sea salt and 1/8 teaspoon pepper. Add tomatoes and gently toss to coat. Set aside and allow the tomatoes to marinate for at least 30 minutes, tossing occasionally. For best flavor, allow the tomatoes to marinate in the refrigerator for up to 4 hours, tossing occasionally. Remove the tomatoes from the refrigerator 30 minutes before using to allow them to come to room temperature. Make the hummus: In the bowl of a food processor, add the chickpeas and garlic. Process until the chickpeas resemble wet sand, about 2 minutes, stopping to scrape down the sides of the bowl as necessary. 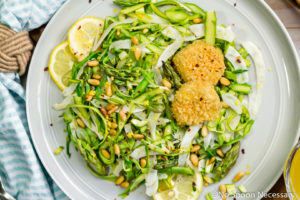 Add in the tahini, lemon juice, ½ teaspoon salt, and a 1/8 teaspoon pepper. Process until smooth. Add in the basil and process until roughly chopped. With the motor running, stream in the olive oil and process until smooth again. For a thinner hummus, stream in cold water*, one tablespoon at a time, until desired consistency is achieved. Taste and adjust for seasoning. To serve: Transfer the hummus to a bowl. 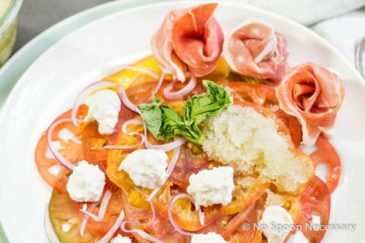 Top with torn burrata and marinated tomatoes. Garnish with additional basil, red pepper flakes and balsamic if desired. Serve and enjoy! 1. For ease and convenience the recipe below uses canned chickpeas. However, if you want to save money AND have a fresher, creamier tasting hummus, I highly recommend cooking your own dried chickpeas! 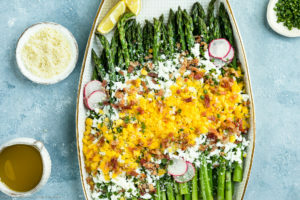 The entire process is SUPER simple and can be done in the slow cooker. I included instructions below. 2. The consistency of your basil hummus completely relies on personal taste. I used about ½ cup ICE COLD water in mine. You can use extra virgin olive oil instead of water if you would like. The oil would give the hummus a more pungent, bitter taste. For a thinner consistency, use more water or oil; for a thicker consistency use less water or oil. Just make sure you are streaming in the liquid, one tablespoon at a time WITH the motor running. Also, if using water, make sure your water is ICE COLD as it gives the hummus a fluffier (less pasty) mouth feel. 3. Make sure you use the BEST looking cherry tomatoes you can find at the market. I used a combination of heirloom, vine-ripe and sungold cherry tomatoes, because our market has a great selection of cherry tomatoes. Whatever variety you chose, just make sure the tomatoes are plump, firm to touch, and have taut skin. 4. If you aren’t a fan of chickpeas, you can absolutely substitute an equal amount of cooked white beans for the chickpeas. Note: 1 cup dried chickpeas = 1 (15 ounce) can cooked chickpeas. 1. Cook the chickpeas (DO NOT SOAK): Place the dried chickpeas in a slow cooker. Add 32 ounces of water (or vegetable stock), ½ onion, and 1 teaspoon of salt. Cover slow cooker and cook on high for 3 hours. 2. Drain, reserving 1 cup of the cooking liquid. Discard onion. 3. Transfer the cooked chickpeas to a large clean kitchen towel or paper towels, and dry, massaging the chickpeas gently to remove their skin. This this is the prettiest hummus I have ever seen but I would still swipe down the missile with a cracker or pita chip 😉 . Supper yummy flavors, I so have to try some burrata!! Pinned! Take care.